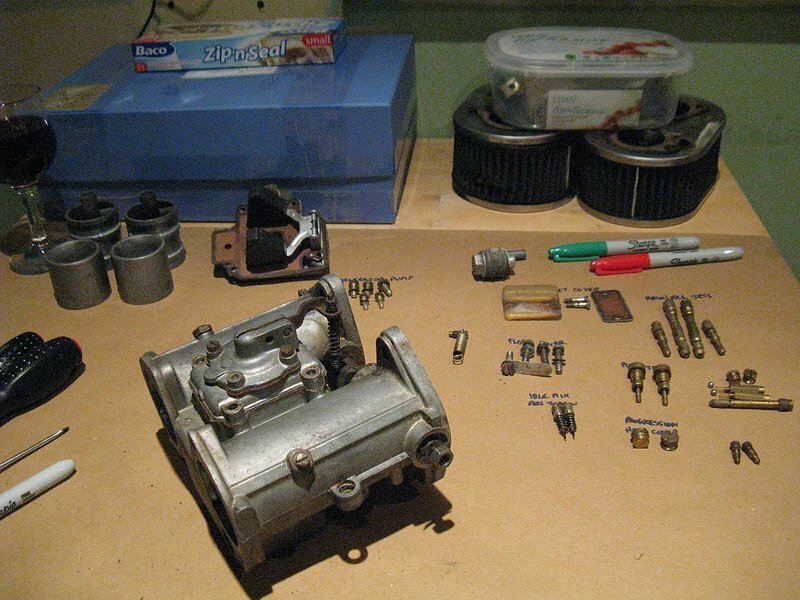 Spent the evening with a glass or two of red and some screwdrivers, following the instructions in the book and stripping down the carbs, one by one. 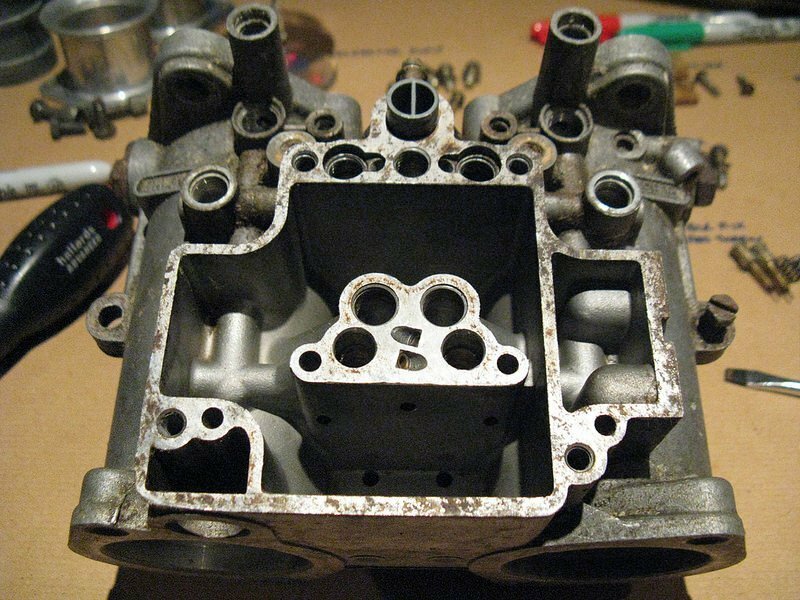 They’ve gone off to a local chap for an ultrasonic bath to get rid of the gummed-up petrol in the insides and ensure that when they go on the car, all the delicate little holes are the right size, rather than full of crud, smaller than they’re meant to be and inconsistent. No assumptions that the jets are right for my car, but at least they’ll be a (theoretically) known state. 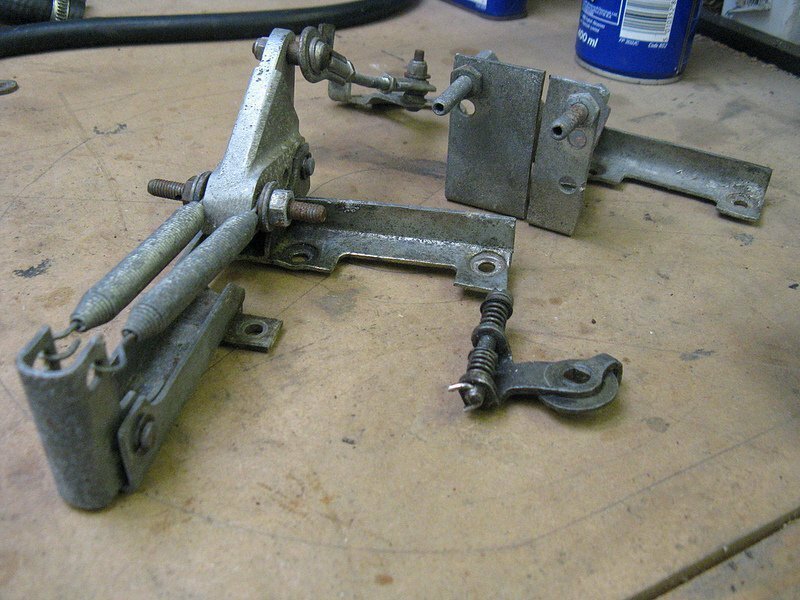 The carbs came with a linkage and it wasn’t till I’d taken it all apart that I realised at some point someone had cut down the mounting plate for the twin throttle cables and re-purposed one side of it on the other carb as a mounting point for the choke cable. Received wisdom seems to be that I ought not actually need a choke mechanism if the carbs are set up properly, so I guess I’ll weld it back how it was.